When Shawn Jackson began his final season as a high school tennis player earlier this spring, the Susan E. Wagner High School senior wanted to finish his decorated career by claiming one of the titles that had eluded him up to that point. “In my junior year, I fell short and came in second place, so winning the City Championship in my senior year was definitely a goal of mine,” Jackson said. And Jackson did just that, defeating Beacon’s Ethan Leon, the defending champion, 6-1, 6-4 in the singles final of the PSAL Individual Championships. The showdown was a rematch of the 2017 final, when Leon won 6-3, 6-3. That match was played indoors at the USTA Billie Jean King National Tennis Center, but this year’s final was played outdoors at Grover Cleveland High School, and Jackson used the conditions to his advantage. He parlayed his win in the PSAL final into becoming a State Champion as he advanced to the New York State Federation Tournament at the National Tennis Center, which pits the PSAL champion against the New York State Public High School Athletic Association (NYSPHSAA), Independent School and Catholic High School Athletic Association (CHSAA) champions. Jackson defeated the champion from the Independent Schools, Peter Frelinghuysen of Trinity, 6-1, 6-0 in the semifinals to book his spot in the federation finals. Unfortunately, Oyster Bay’s Patrick Maloney, the NYSPHSAA Champion, was dealing with a foot injury and had to withdraw from the championship. Jackson looks back at his high school career and is proud of his individual accomplishments, but one of his top achievements was creating a winning culture for the Susan Wagner tennis program. 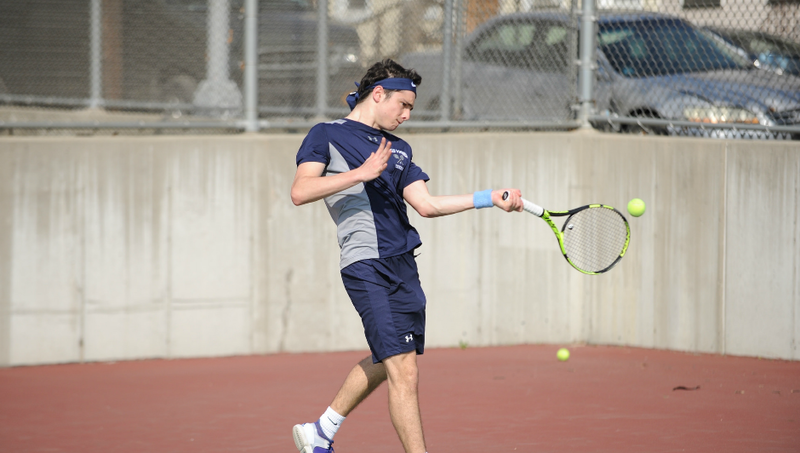 He now looks ahead to the next stage of both his life and his tennis career, as he will become a member of the Hofstra University Men’s Tennis team in the fall. Jackson first met Hofstra Head Coach Jason Pasion at the John McEnroe Tennis Academy College Recruiting Combine a couple of years ago, and Jackson knew early on that he was the coach he wanted to play for. Pasion was the Coach at New York Institute of Technology (NYIT) at the time, so Jackson was ready to commit there, but when Pasion moved on to become the Head Coach at Hofstra, Jackson followed suit. Jackson concludes his high school career with a plethora of achievements and accolades, and will look to make his impact felt for the Hofstra Pride over the next four years. 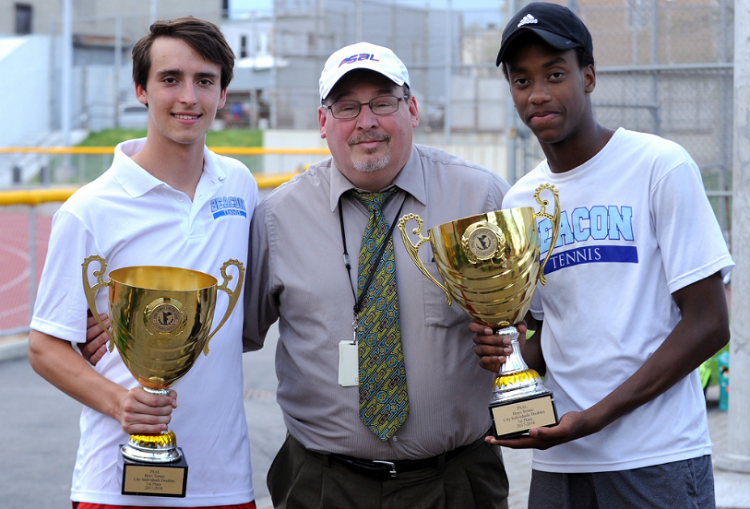 A year ago, Beacon’s Donovan Brown won the Doubles title at the PSAL Championships alongside his partner, Tyler Kats. Brown would once again claim that title once again, this time pairing with fellow Beacon teammate Julian Szuper to earn the title as the best doubles duo in New York City. After beating Cardozo’s Will Kofman & Eric Dubilrer 6-2, 6-3 in the semifinals, Brown & Szuper defeated Mitchell Pertsovsky & Jeffrey Yu of Brooklyn Tech 1-6, 6-3, 7-6(8-6) to win a thrilling championship. The pair would advance to the finals of the New York State Federation tournament where they met the NYSPHSAA Champions, Charlie Levinson & Connor Aylett of Mamaroneck. Levinson & Aylett would win the NYSPHSAA Championship with a 7-6(7), 6-2 victory over Brown & Szuper.